Our gallery was launched in 2015 by Christopher Stout, who serves as gallery founder and director. Our gallery name was changed in 2017 to serve as a constant statement of protest against our current national leadership. Regarding our program, “difficult and subversive” art has been made in New York City in earnest since at least the 1950’s. As much as our mindset is about exploring the future, we are also holding up an important dialogue with the past. 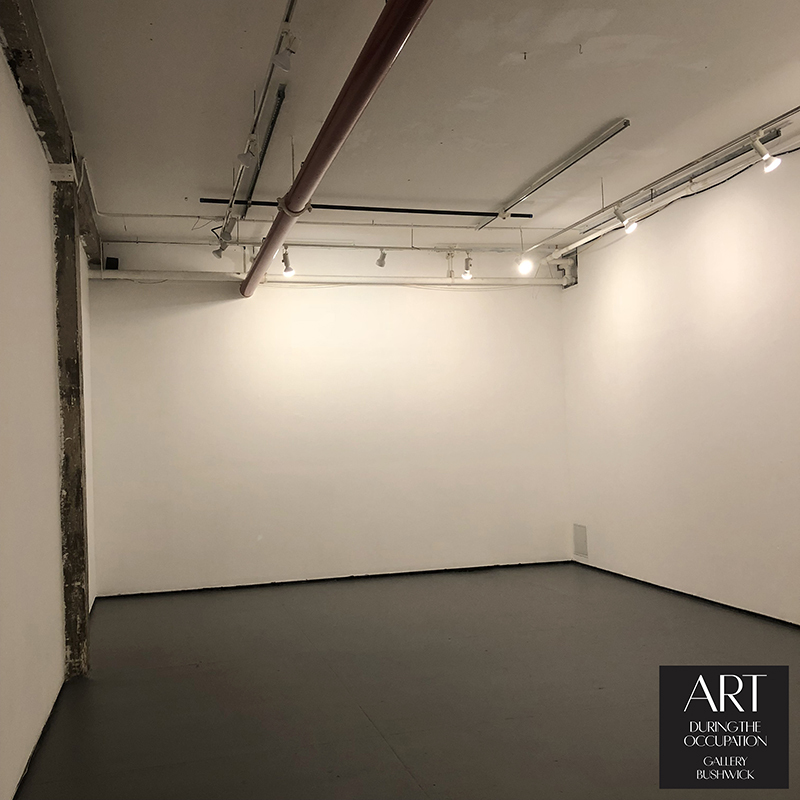 We consider this gallery to be a new chapter in art that has spanned decades in New York City, and is exactly the type of work that makes this city a global center for visually expressed philosophical thought. 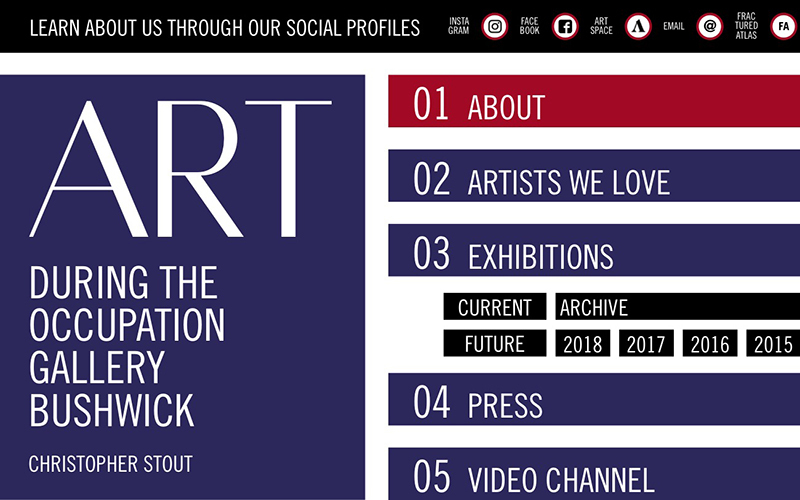 Sexually overt art, queer art, feminist art, sociopolitical art, art the challenges authority models: all of these dialogues are celebrated as essential parts of the history of Contemporary Art, and more-than-ever are needed as cultural guideposts in the present, and in the future. 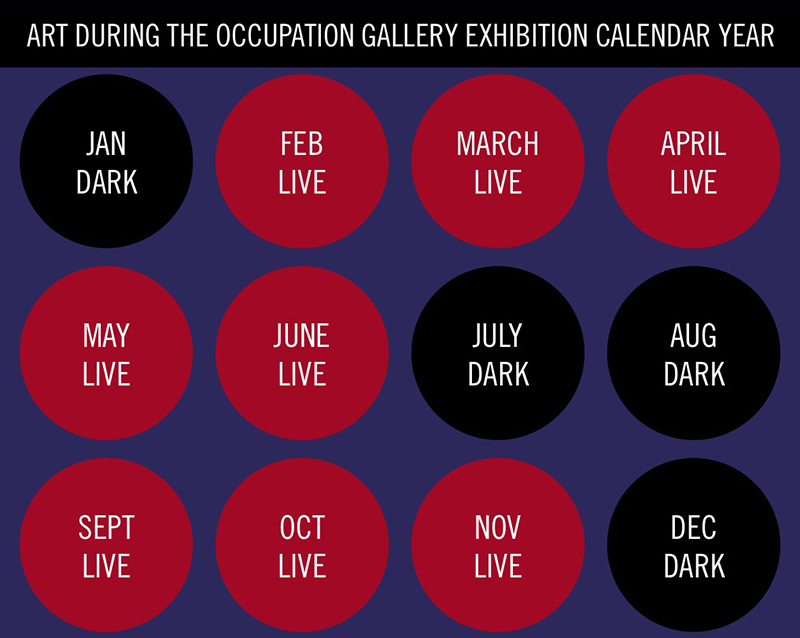 January – Our gallery is dark for winter break during the month of January. July – Our gallery is dark for summer break during the month of July. August – Our gallery is dark for summer break during the month of August. Thank you for your support of our artists, exhibitions, and mission statement. 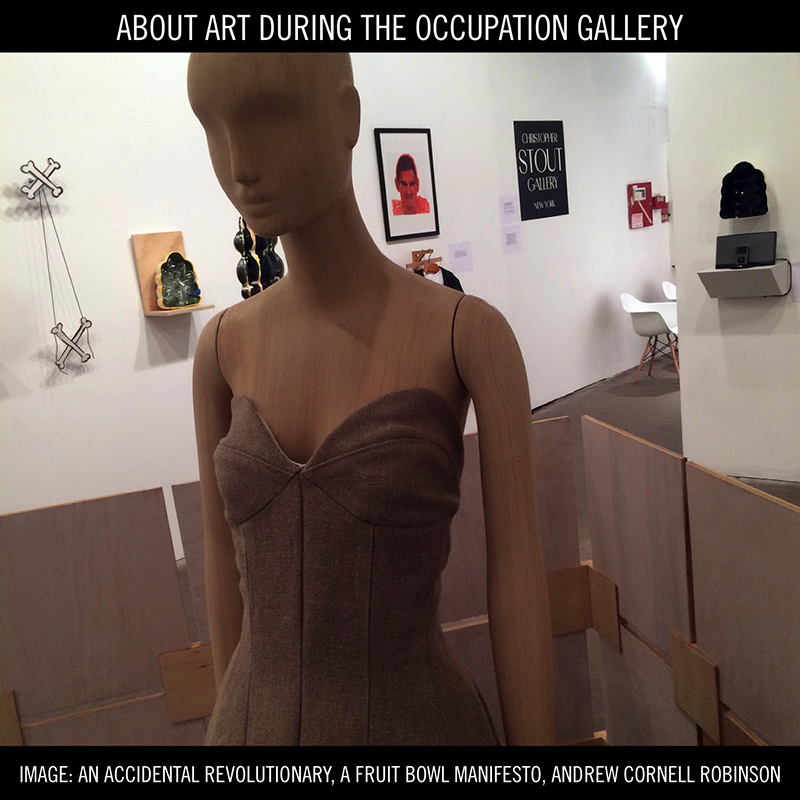 Art During the Occupation Gallery, Bushwick has a strident focus on solo exhibitions with month-long solos in February, March, April, May, June, September, October, and November. 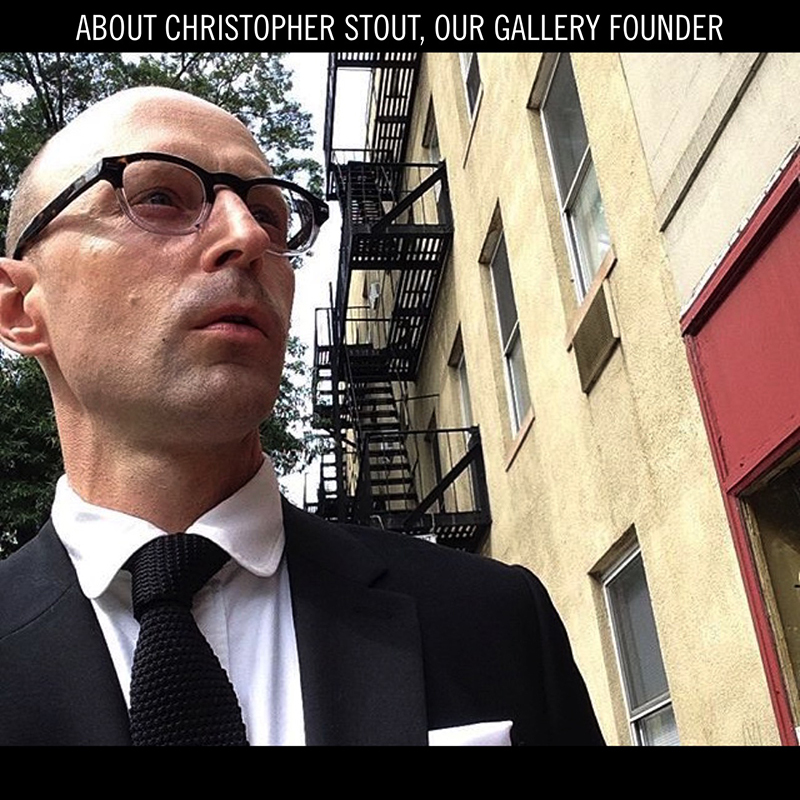 Christopher Stout actively donates his art and time to support New York City not-for-profit 501(c)(3) visual arts organizations, including Arts in Bushwick, NutureART, and VisualAIDS. Christopher's modus operandi is, "solidarity for arts, and solidarity with New York artists." Image: our gallery space in the Brooklyn Fire Proof warehouse at 119 Ingraham Street in Bushwick.